NASA leader Raila Odinga has reiterated his call for his supporters to embrace all communities living in Nyanza without minding their ethnic background. He insisted that no individual should be attacked on the basis of tribe saying the spirit of brotherhood should prevail even during demonstrations. “If (President) Uhuru is at fault the blame should lie squarely on him. Don’t attack Mwangi in Usenge just because Uhuru has offended us, leave Uhuru for me to handle him,” Raila said. He was speaking on Saturday in Usenge during a funeral service of a relative to his wife, Idah. The former Prime Minister asked his supporters to remain united and wait for him to give directions on the current impasse. Raila has maintained that there will be no repeat elections on October 26 and has instead called for mega demonstrations on that day. Raila on Friday indicated that he will make an important announcement on Wednesday next week ahead of the repeat election. “I know how we will reach Canaan as there are so many ways to kill a rat. You can beat it, you can put it in the sack and drop it in the lake or you can decide to kill it by stoning,” Raila said. He faulted the Jubilee administration for turning Mashujaa day celebrations into a party affair. Raila said the ceremony was supposed to honor Kenyan heroes and not to make inflammatory political remarks with the aim of gagging the opposition. “We will continue to curse the police brutality even as they continue to flood the region with armed military officers to kill our people,” Raila said. The opposition chief reminded the ruling administration that Nyanza region is part of Kenya and they should take it as part of the country and stop intimidation to residents. 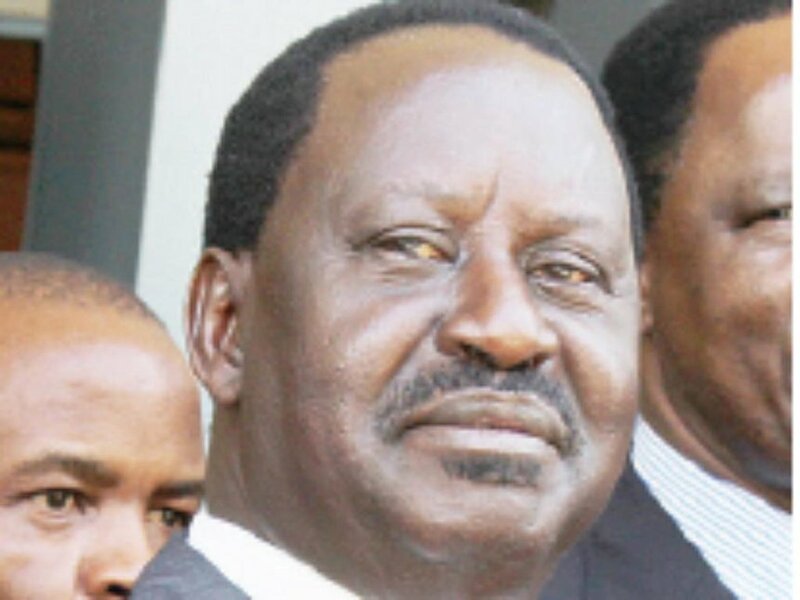 “There is no community that is in Kenya with the permission of the other community to be gagged while exercising its democratic rights,” added Raila. He was accompanied by Siaya governor Cornel Rasanga, Kisumu governor Anyang Nyong’, Homabay governor Cyprian Awiti and a host of MPs.